Back in December, in the class that I took from Elsie, one of the projects was an embellished bag. Like the felt charm cuffs that I recently made, I never got to it. In this case, it has been for lack of a good bag to work on. I found a corduroy one which I like, but it hasn't inspired me yet. 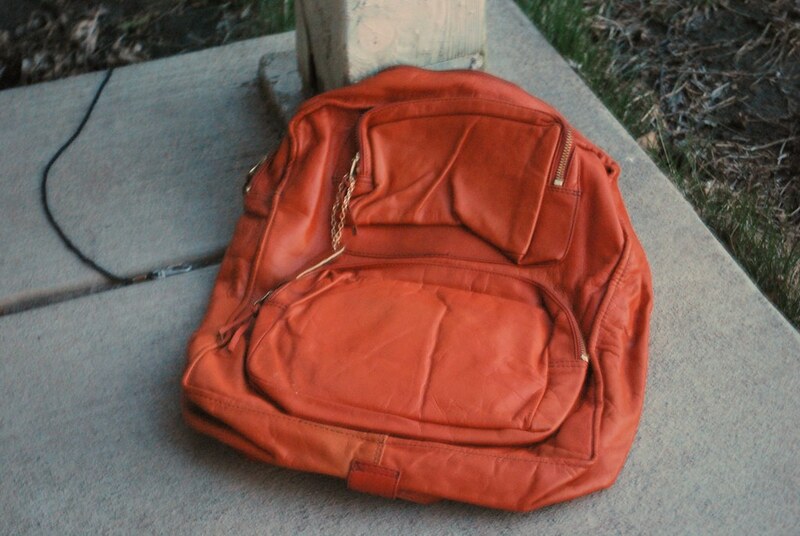 But then at Goodwill, I found this leather backpack. The color is nice, and the weight isn't too heavy...just right. Oh, and it was $2. What a great bag! I'm picturing either some great simple leaves or a heart filled with a woodgrain pattern. You've reminded me that I need to make it into Goodwill!